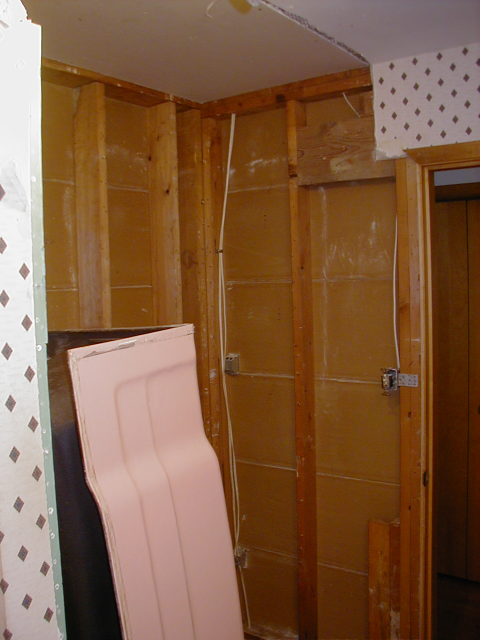 Mrs. Boyd is having the main bathroom in our house remodeled and I am doing the strip out of the old. This is not a minor project as there was a soffit over the sink and a soffit over the tub. The sink soffit was easy, the tub... no so much. I'll have some photos a little later. While I was up in the attic clearing insulation out of the old soffit, I looked over and noticed sun light shining down around a drain vent that goes through the roof. Hmm.. I don't think I should be seeing daylight over there. So today (Aug 2, 2012) I got up on the roof to check it out. 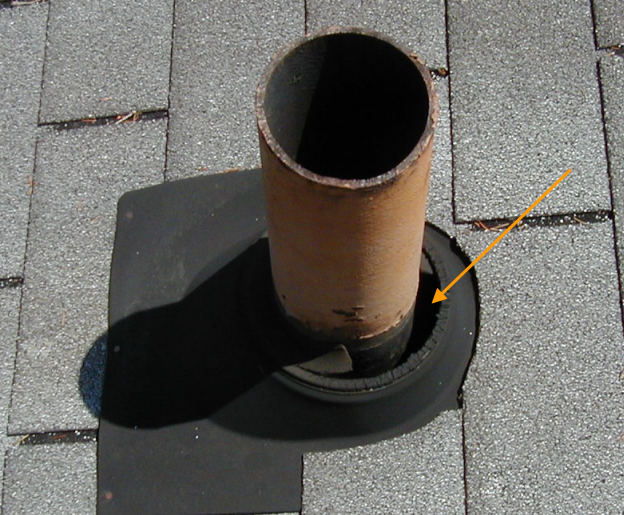 Indeed, the rubber boot around the drain vent pipe is shot. I found an old Metzler motorcycle tire inner tube in the basement (from my friend Mark's 1975 BMW project) cut it up and made a temporary cover that will do until I can get it repaired properly, mostly likely professionally. 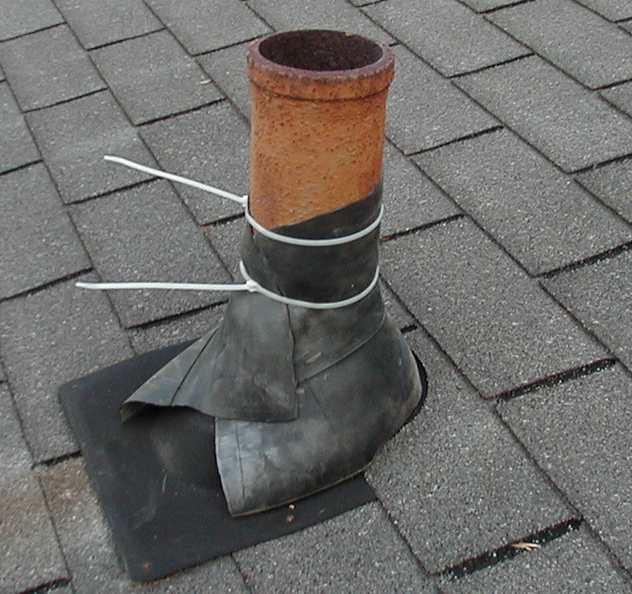 Unless I can find a repair boot that simply goes over the existing boot without having to pull up shingles. Below is the solution. This is the problem with saving things for possible later use. every now and then you actually put something old to good use and that makes you want to save things all the more. 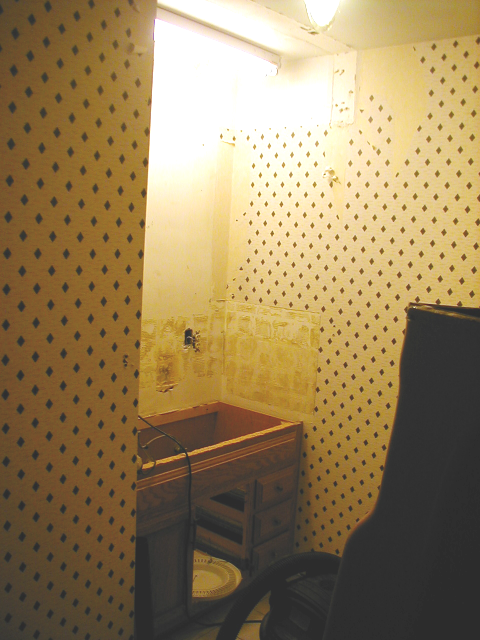 The bathtub is actually out (Alex helped me wheel it out yesterday) and the tile floor has been coming up today. I'm about half done with that. 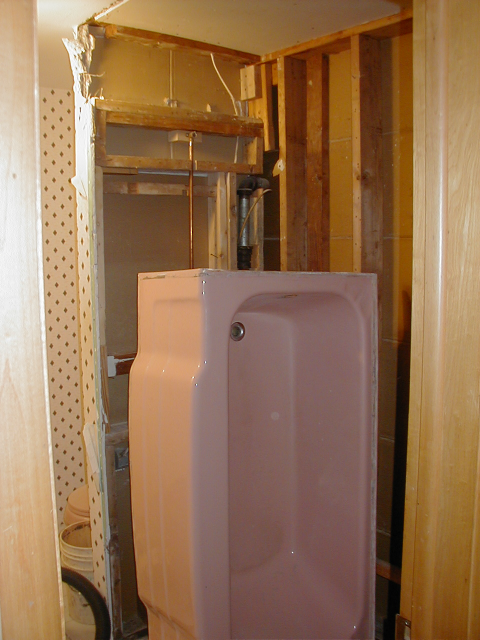 Below are some shots from the other day when I got the tub stood up on end ready to rool out.